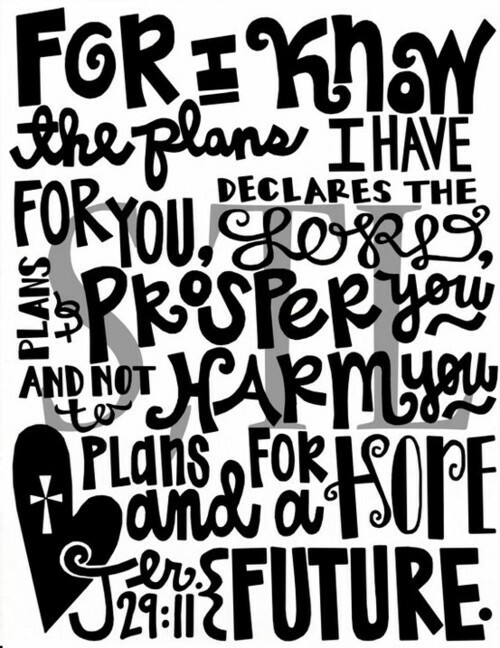 Jeremiah 29:11... one of my all time favorite verses. Today was a slow day. Church, then home to eat leftovers for lunch. I made meatloaf last night, so a meatloaf sandwich was in order. I wanted to get out and "move", so I took my girls to our the outlet mall for a little retail therapy. We slowly made our way around the whole mall... not much for cardio, but it was good to be moving instead of sitting on the couch. 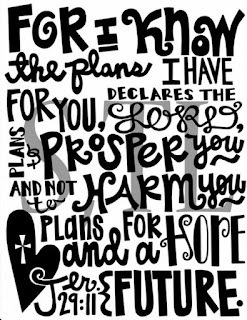 I am still chugging along on plan! TOM has the scale at a stand-still but that is okay. I am doing all the right things, so it will move eventually. I had a procedure done back in October that has almost completely wiped out my period, but I notice that I still experience lots of cramps and bloating. Probably more than I used to have. TMI, but the point is that I know I am bloated, so I am not letting the scale get me down. Next week is going to be busy, so I am going to find my planner and schedule in my gym time. This is really working for me and helping me "fit" that time in my schedule. It's a must. I am now a Thirty-One consultant! I LOVE these products, and have thought about signing up to sell it for quite a while. So after praying about it, I decided to just do it! After today's sermon was on Proverbs 31, I knew it was a sign, so I did it today! If you aren't familiar with Thirty-One, check out my site! Good job! Great to see you staying on plan and having such a positive outlook.